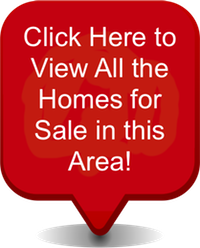 Access all Desert Ridge real estate and homes for sale here. Properties in Desert Ridge are updated daily from the MLS, so you'll want to return here for the newest Arizona listings for sale in Desert Ridge. The Desert Ridge Marketplace offers over a million square feet of shopping and entertainment near Desert Ridge homes. You'll discover outdoor fireplaces and water features next to clothing and home shops, food and furniture. Desert Ridge Marketplace is just North of the Loop 101 on Tatum Boulevard. Our Desert Ridge and Phoenix MLS is updated daily with Desert Ridge Homes that have just been placed on the market for sale. As a registered member you have full access to our MLS e-mail updates and notifications. Our property updates allow you to receive daily updates from our automated MLS home search tools. Signing up is free and the tools are easy and very fast. We have added Desert Ridge Real Estate Foreclosures, Desert Ridge Short Sales, Bank Owned, REO, which allow you to see the most current foreclosures and Short Sales on the real estate market. Visit these pages for daily updates. As a member you will have access to use the foreclosures custom search feature. One of the best features our MLS Search Tools has to offer is our Real Estate Map Based MLS search tool. Using our interactive map search tools allows you to refine your search and view a property list and a Google Map showing the location of each home for sale. Unlike most map base real estate search tools ours is very fast and easy to use.